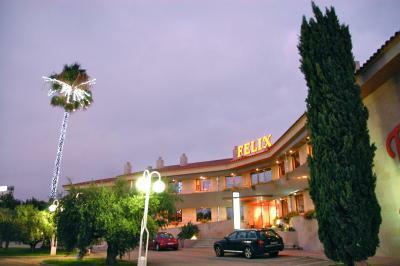 Lock in a great price for Felix Hotel – rated 9.1 by recent guests! The bath is a highlight in this large room. Our room was beautiful and modern, with an incredibly comfortable bed. 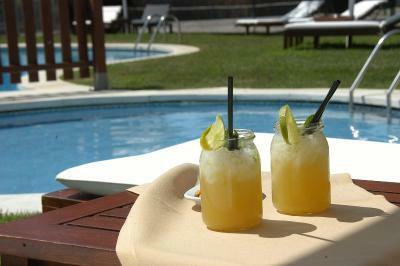 A wonderful pool and outdoor area are also available. I would highly recommend this hotel! Big room. Comfortable electric bed. Beautiful grounds. Very accommodating staff. Friendly staff. Excellent restaurant. Very good value for money. 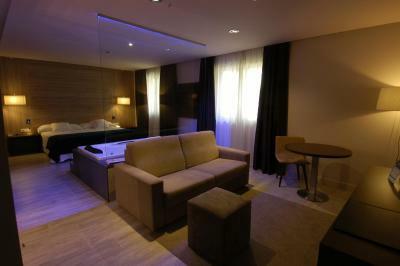 The room was very large and The beds extra comfortable. I love that the tv can connect to Amazon prime and netflix. I have stayed in over a 100 hotels. None had room lighting as good as this property. I could read and see very well. There may have been over 20 lights in this room. The staff were exceedingly friendly and helpful with information. I parked less than 30 seconds from the front door. 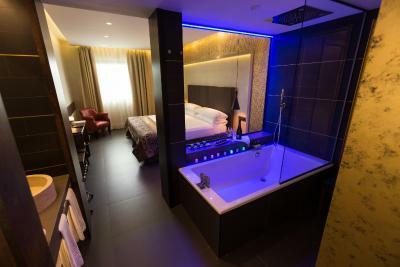 The room I stayed in was beside being well lite had a shower and a two person tube which my wife and I used for our pleasure. We would stay here for multiple days and have a wonderful time. Receptionists are very kind and helped me to deal with a specific problem I have. Very friendly and flexible. Much appreciated. The hotel was located within a few kilometers of the monasteries and Terragona. Restaurant with wide selection just next door. While the hotel wanted €16 for breakfast the cafe was half that. Also, one could get dinner at 6pm. Excellent staff that saw to our needs. 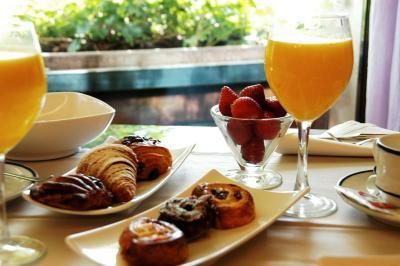 Excellent breakfast at time to suit everyone. Staff throughout the hotel were so friendly and helpful. Pool area was very pleasant but on this occasion the weather was not too kind. Excellent standard of housekeeping. Could not fault my room. 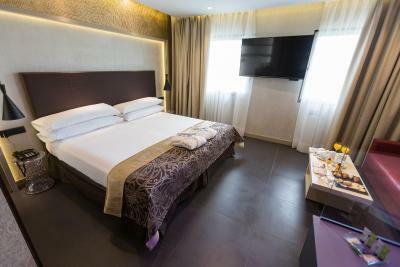 Felix Hotel This rating is a reflection of how the property compares to the industry standard when it comes to price, facilities and services available. It's based on a self-evaluation by the property. Use this rating to help choose your stay! 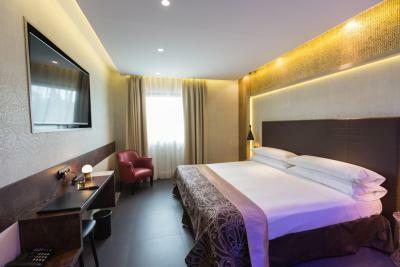 Located 20 minutes' drive from Tarragona and 10 minutes from the high-speed AVE train station, this hotel offers comfortable, well-appointed accommodations in quiet, relaxing, restful surroundings. 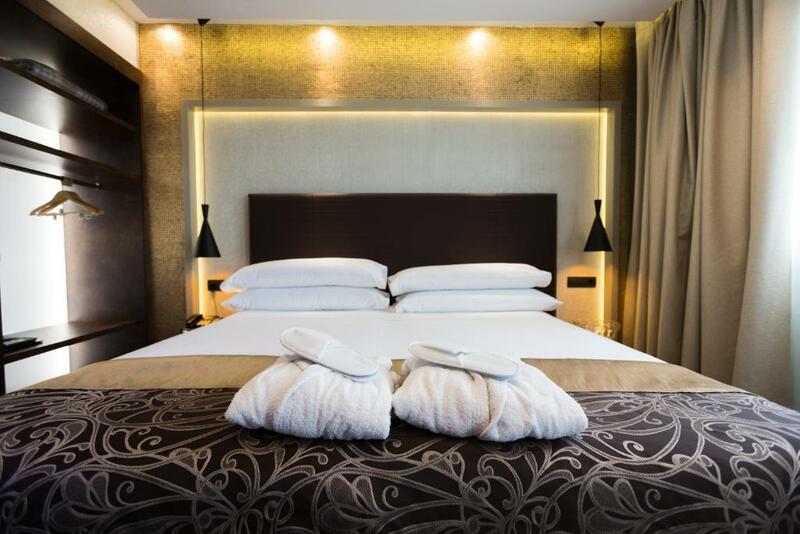 This well-equipped hotel’s facilities include a bar, tennis court and an outdoor swimming pool in the attractive, tranquil gardens. Valls is a quiet, pretty town of tradition and history. The town is the home of the famous Spanish delicacy calçots, tender spring onions roasted over an open fire and eaten dipped in a sauce. The tradition of Castells, or human towers, also originated here over 200 years ago. Now, at festivals in Catalonia, several colles castelleres (teams) meet and try to build the most impressive human towers or pyramids that they can. 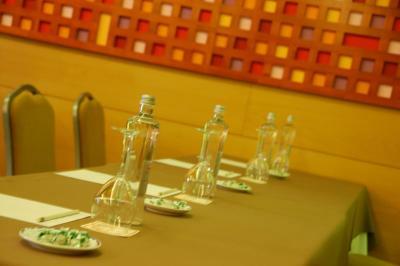 The hotel is located on the way of the Ruta del Cister, home of the ancient monasteries of Santes Creus, Poblet and Vallbona de les Monges. This property also has one of the top-rated locations in Valls! Guests are happier about it compared to other properties in the area. This property is also rated for the best value in Valls! Guests are getting more for their money when compared to other properties in this city. 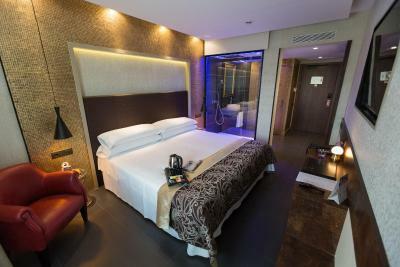 When would you like to stay at Felix Hotel? 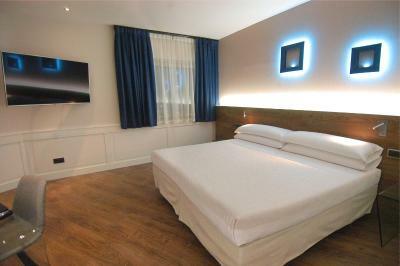 This room has either 2 single beds or a double bed. 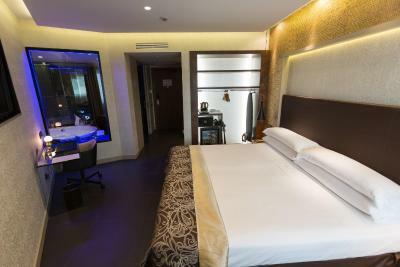 This quadruple room has air conditioning, mini-bar and cable TV. 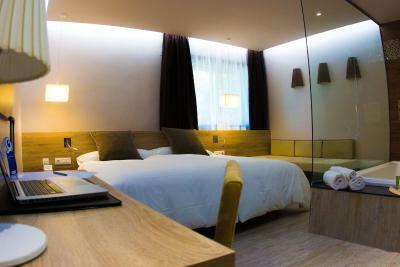 Featuring modern décor, this double room offers a mini-bar, air conditioning and soundproofing. 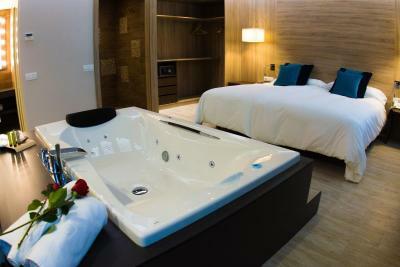 This suite features modern décor and comes with a hot tub. It includes free toiletries, a bathrobe and slippers. 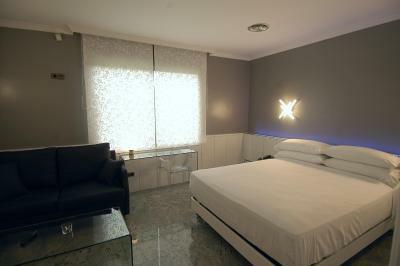 This modern double room has air conditioning, cable TV and mini-bar. 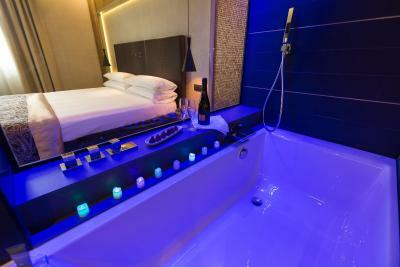 Its bathroom comes with a bath for 2 people and Algotherm toiletries. 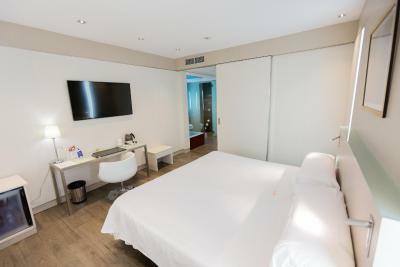 This twin/double room has a mini-bar, air conditioning and satellite TV. 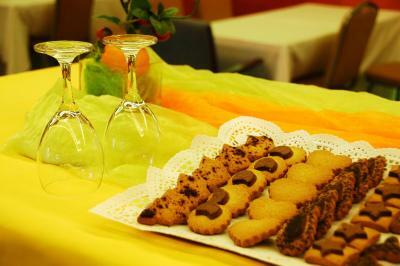 - Visit to a local wine cellar with tasting. 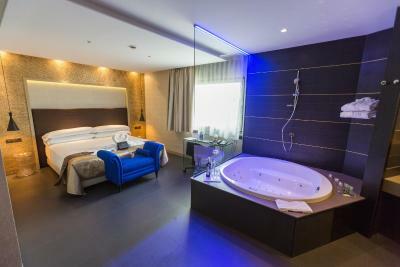 This suite has a electric kettle, spa bath and soundproofing. 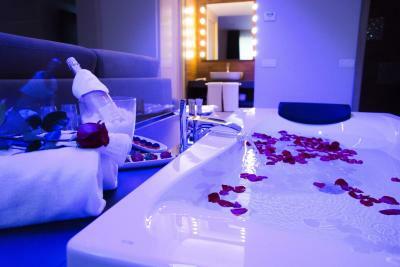 This suite has a hot tub, air conditioning and flat-screen TV. 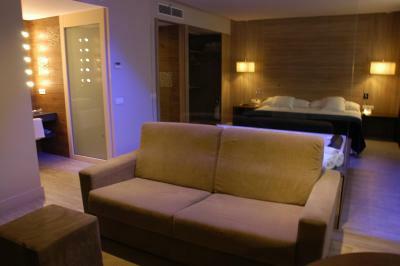 This suite features a sofa, bathrobe and satellite TV. 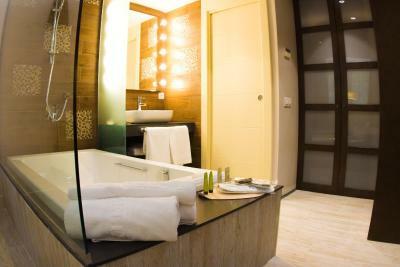 This suite has a electric kettle, bath and mini-bar. 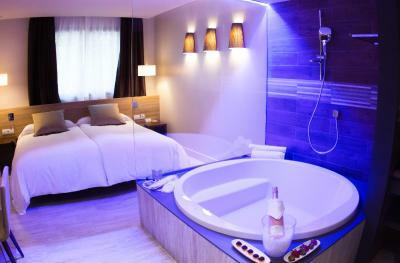 This suite features a electric kettle, spa bath and satellite TV. 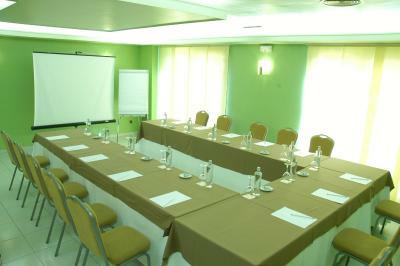 This smaller double room is located on the ground floor. 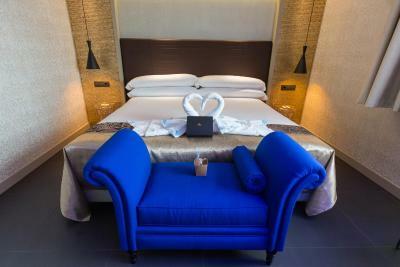 House Rules Felix Hotel takes special requests – add in the next step! Felix Hotel accepts these cards and reserves the right to temporarily hold an amount prior to arrival. The addition of a second extra bed in a room incurs an additional fee. Very difficult to get to the Felix from Reus airport. Only a few transfer companies do this and it is expensive. 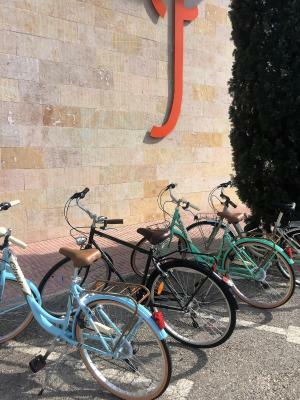 Most guests who use the Felix have their own transport and have no problems. I like walking and once at the Felix, enjoyed getting about on foot. Possibly more info on transfers and getting about by bus/train would be helpful. 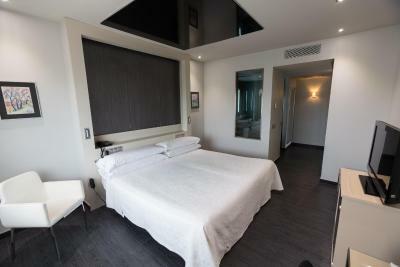 Great location (specially if you plan to go to the Glorieta hiking), amazing room, great bed, High tech TV, excellent restaurant, free parking, nice staff. It was all good from the food to the room to the location. Clean comfortable and excellent value for money,.. Bedroom was so well furnished. The decor and fitments were of the best quality. 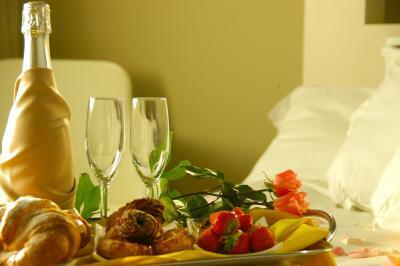 The breakfast was amazingly good all you could ask for and. more!! 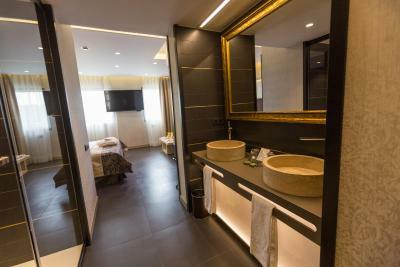 Had an executive room - very comfortable, spa bath, and shower big bed - great breakfast, book it when you check in its cheaper than on the day - fantastic restaurant next door, best pan Catalana ever ! The deco is very outdated and dark and gloomy. The breakfast was ok but not enough hot food it was mostly cakes and fruit. my room was great the pool was good. The location to my needs at the Valls Kellogg plant was good also. The restaurant next door was also good. Excellent service. I got an upgrade for the room. Very clean. Excellent value for money! Great, friendly people. Wonderful beds with motor reclination. 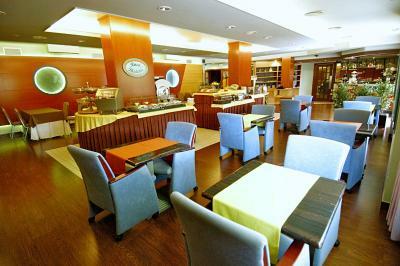 Tasty breakfast buffet with great variety. The nice breakfast staff was constantly checking that there was enough food, filling up where needed. Loved this hotel, superb quality and service.